flying motorized model airplanes and working in his father’s auto repair shop. 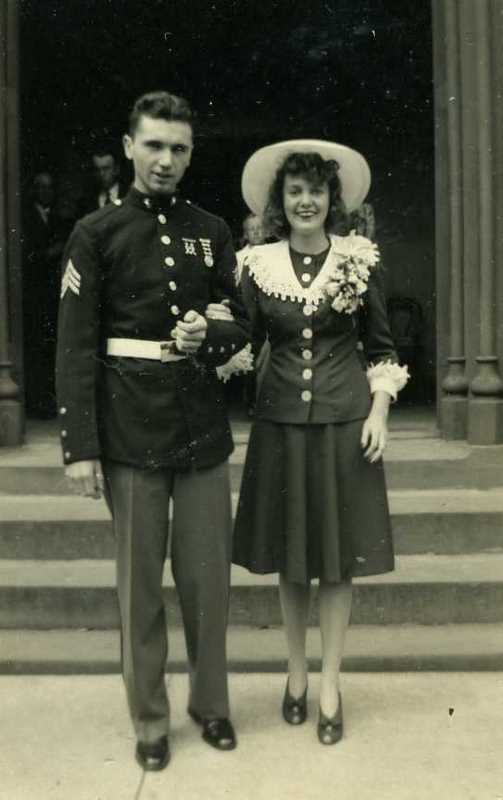 In early 1940, he joined the Marines, the first of three brothers to do so. All three “boys” fought in World War II and Korea. After joining the Marine Corps in 1940, John went to boot camp at Perris Island, South Carolina. 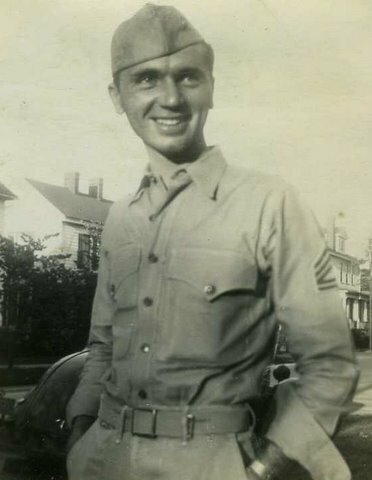 He completed boot camp training in October 1940. John made corporal in later 1940 and was transferred to New River, North Carolina in February. 1941. John A. Capozzoli and Helen Waters Wedding in April 1942, New Bern, N.C.
John married the former Helen Waters of North Carolina in April, 1942. 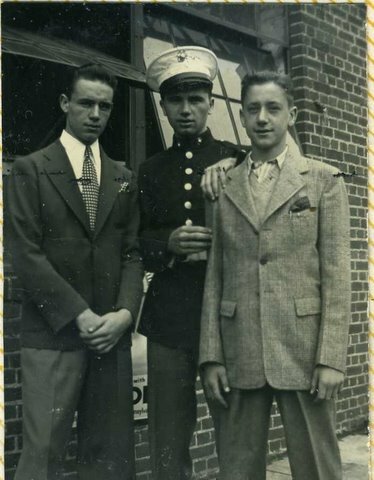 On January 26, 1946, the three brothers met for the first time since they each enlisted at The Boulevard in Elmhurst, N.Y. They celebrated their brother, Lou’s, re-enlistement. 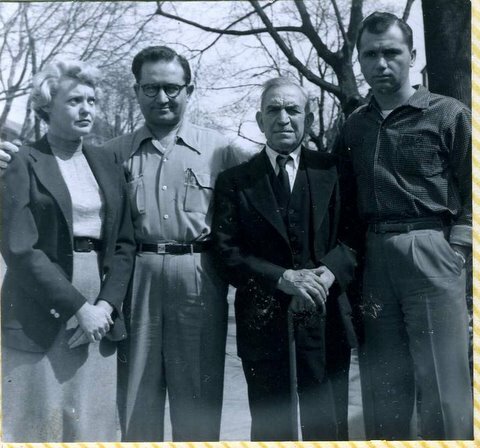 In March, 1946, John and Helen visited the family in Flushing, New York while on leave. They lived in North Carolina. John was stationed at the MCAS Cherry Point. After World War II began, John entered the field aviation and later saw combat as Maintenance Crewman with a fighter squadron on Pelelieu, Palau Islands, in the South Pacific. 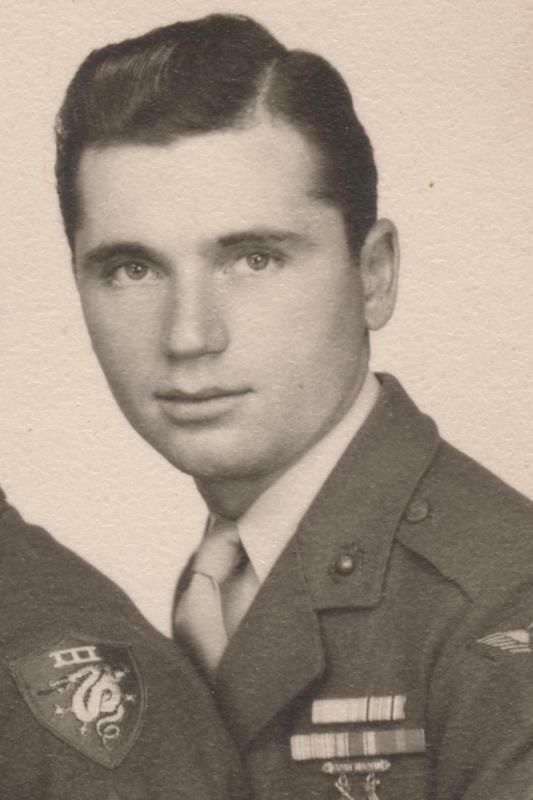 During the Korean War, as Maintenance Chief for the first Marine jet squadron to fly in combat, he was awarded the Bronze Star and Purple Heart metals for risking his life to remove unexploded bombs from the wings of a fighter plane that had been damaged in combat. He also had to make an emergency landing with its bombs still attached. In addition to the Bronze Star and Purple Heart, John also received the Presidential Unit Citation, Korean Presidential Unit Citation, six Good Conduct Medals, and numerous campaign service medals. John made several trips home while on leave to visit with family and childhood friends in Flushing, New York. 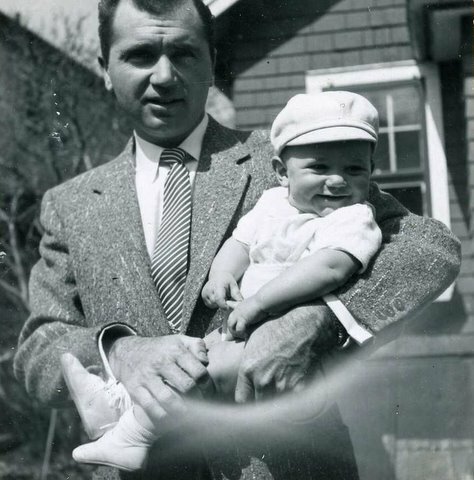 John’s son, Gary, was born July 17, 1955. 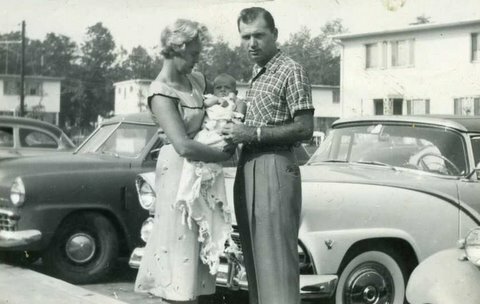 Photos of the proud parents holding Gary as an infant were taken at the Naval Air Station, Patuxent River, Maryland. John was proud for having worked his way up the ladder from a twenty one dollar a month Private to First Sergeant and Warrant Officer. In 1958, his brother Louis, a Master Sergeant, pinned his Warrant Officer bars on his shoulder at El Toro where they were both stationed. John’s military assignments took him to El Toro, El Centro, Cherry Point, Mojave, Ewa, Hawaii, Puerto Rico, Patuxant River, Maryland, and Jacksonville, Florida. He was also assigned to numerous military and civilian aviation schools throughout the country. After retiring from the Marine Corps in 1963, and while employed with Douglas Aircraft Company in Long Beach, he took part in the Vietnam War by being posted on an aircraft carrier as a “Factory Representative” to work with Navy personnel, troubleshooting mechanical and operational aircraft problems. In 1967, he and two Douglas employees were singled out to work in Israel in one year where they taught members of Israel’s Air Force how to operate and maintain the A-4 Sky Hawk jets that Israel had purchased from Douglas. He continued his career with Douglas for 20 years. Helen passed away on May 27, 1988. John passed away on September 1, 2003 at the age of 81. Note: John’s son, Gary Capozzoli, has two daughters, Jennifer and Jessica Capozzoli.